Welcome to the Get Gutsy interview series! Each month, I interview people who are getting gutsy– stepping outside their comfort zones to reach their goals and live a life that makes them truly happy. Click here to read past Get Gutsy interviews. Today, I’m beyond thrilled to introduce you to an inspiring woman I know IRL, Melissa Alam. Melissa and I both went to Temple University at the same exact time, but I don’t think we knew each other then. 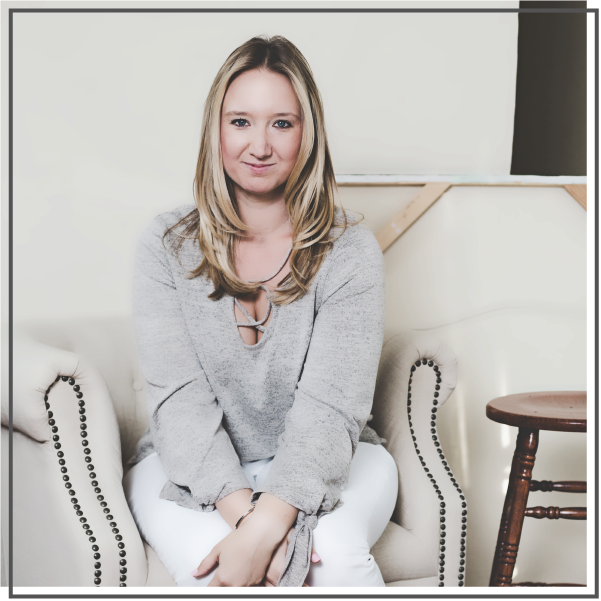 I later found Melissa online and was inspired by the work she was doing- at the time she had just quit her job and was working with clients, blogging and building businesses. We became friends online and eventually met in real life several times at various events. 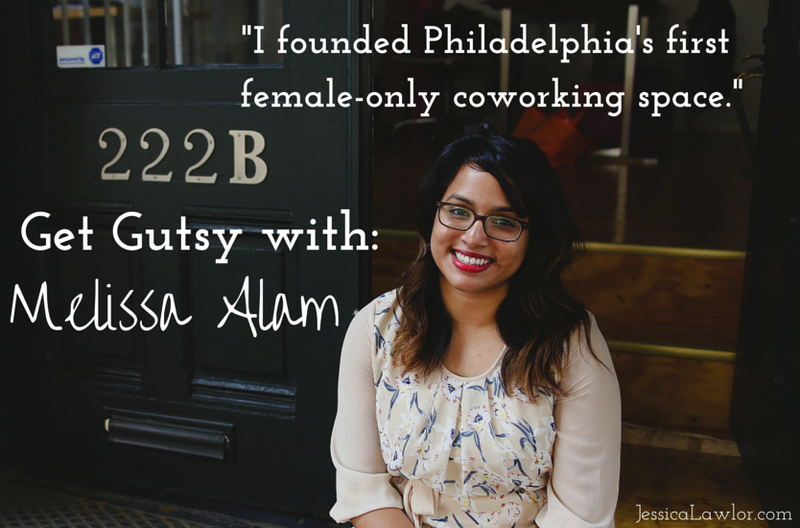 In recent months, Melissa has been making the news for founding and opening Philadelphia’s first female-only coworking space. Melissa is passionate about helping fellow women entrepreneurs go after their dreams. Be inspired by Melissa’s story. Let’s get into the interview. I’m an ideaholic inspired to empower women. I’m the founder of a female-only coworking space called The Hive and online mag Femme & Fortune. 2. Tell us about how you are getting gutsy. I’m a big fan of taking risks and opportunities when they present themselves to you. I’m getting gutsy by creating a business in less than three months because I wholeheartedly believe in the mission and the overall value I’m creating for women in Philadelphia. It’s been hard and super stressful, but it’s been worth every ounce of effort I’ve put in to create a safe and inspiring space for women to work out of as they build their empire. 3. You’re somewhat of a serial entrepreneur (I don’t know how you do it all!) Tell us about your different ventures. What’s exciting you most right now? I started an online magazine the summer of 2013 with a good friend of mine called Femme & Fortune. The site hopes to inspire ambitious women through content written by over 50 women across the country. 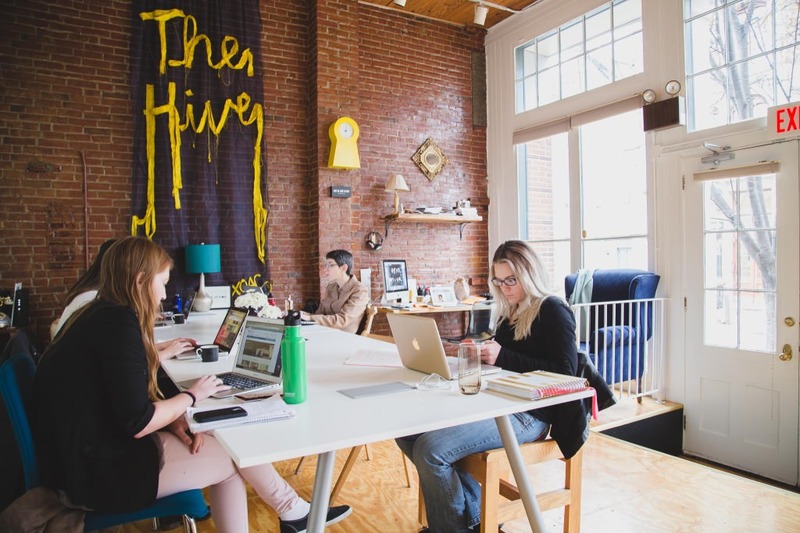 Staying on this mission to empower women, I recently opened The Hive in November, which is Philly’s first co-working space for women. The space is a cute office for women to work out of during the day. We also host events and workshops (for both genders!) throughout the month. It’s exciting to be in charge of so much right now with The Hive and Femme & Fortune. I have the direct ability to mold the future of this space, the members and women in the area, and that feeling is what empowers me to keep going each day. 4. Can you share the story of how The Hive came to be? Why did you want to open an all female coworking space and what was the process like to open a brick and mortar biz? The Hive was created from a need and void I saw that was lacking in the city. I’ve worked at co-working spaces before, so I knew the many pros of working alongside other entrepreneurial-minded people. The idea to create The Hive came to me over a random happy hour this past summer and I knew I had to make it happen. It was like a lightbulb or “aha” moment in my head. From there, I’ve had the most amazing support from my mentor, family and close friends to make this idea into a reality. 5. You are blazing new trails in Philly, that’s for sure. Was there any negativity or backlash in the process of opening The Hive? How do you handle it? Of course! There’s been a few comments online about the whole womens-only concept, but for the most part everyone’s been super supportive and positive about the concept for The Hive. And the best way to handle the negativity is to not read comments! Not everyone will agree or accept the things you do in life, so just move on. Feed off of the positive energy you get from others and you’ll go far. 6. What’s your approach to tackling setbacks? Ask for help. I’ve come to realize that I’m just one person and that there are some things that I won’t be able to do. I was able to rely on some really close friends to help me design and build the space at The Hive, which I’m so grateful for. My approach to tackling setbacks is to figure out what they will be before they happen and have a plan ready or know who to go to for help. 7. Okay, you do SO much. How do you stay sane? Tell us a little bit about how you maintain balance to take care of yourself. Well, I’m still trying to figure that out. I make an effort to not “work” (i.e. no laptop open or being on my phone) at certain times so that I can stay somewhat sane from my multiple inboxes. I try to keep boundaries when it comes to work and fun so that I don’t go insane from all things Hive or Femme & Fortune-related. I’m also starting to do some bikram yoga with my mentor to keep ourselves healthy and balanced. 8. What one piece of advice would you give to someone who wants to follow your path in starting their own business? Be fearless and be ready to sacrifice a few things- whether that’s time, money, or comfort. Starting a business isn’t easy at all, but it’s taught me a lot about my potential as a woman. Also, keep growing your network because you’ll never know when you’ll need to ask for a favor from someone! 9. What does your life look like five years from now? More importantly, how do you hope to feel? I hope to have more Hives around the country in key cities where female entrepreneurship is overlooked or not as supported. I hope to start a few other businesses (maybe a stationary line because I’m obsessed with planners and notepads!) as well as grow Femme & Fortune into a household name for ambitious women. Personally, I hope to travel more around the globe. I’m all about having a love affair with life, so we shall see where it takes me! 10. What does getting gutsy mean to you? Getting gutsy to me means going out there and following your dreams and passions, and being able to adapt when things don’t work out the way you want them to. It’s important to be ready for change, especially when starting a business. It’s not easy being an entrepreneur, so get ready to pivot your ideas at all times. And do it with a smile! Know someone you think I should chat with for the Get Gutsy interview series? I’d love to hear about them! Let me know in the comments below!